The Great Age of British Watercolors 1750-1880, National Gallery of Art, Washington, 1993. Butlin, Martin. William Blake. Exh. cat. Tate Gallery, London, 1978: 197. Butlin, Martin. 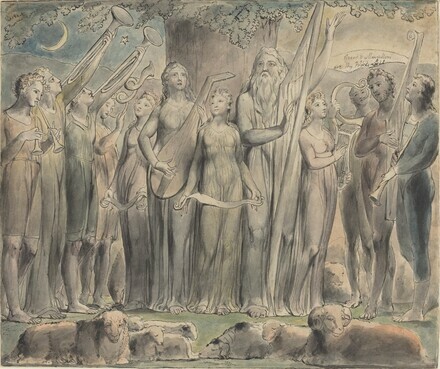 The Paintings and Drawings of William Blake. New Haven: Yale University Press, 1981. Darshan (October 1994), reproduced on table of contents page.